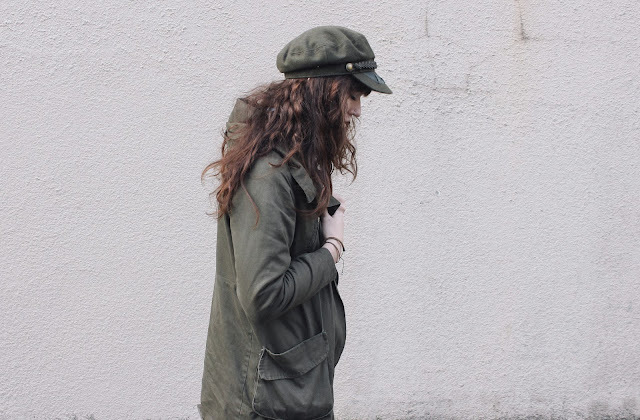 This has literally been my uniform lately (pun intended since the look is army/military inspired). I'm sure you all know I am a sucker for neutrals and army green has been my favorite lately. 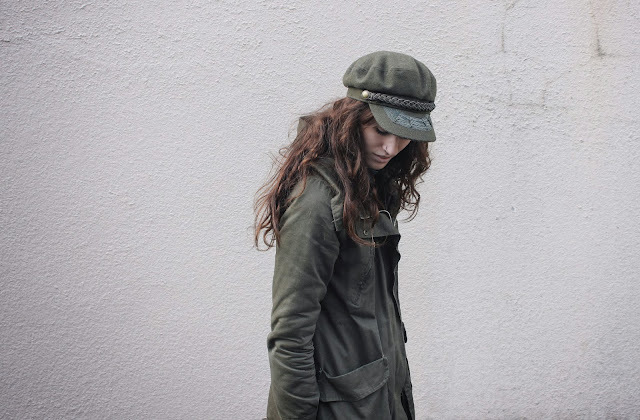 When I saw Alexa Chung recently for Nylon Magazine, I was so inspired by her military inspired hat. I wear hats all the time so I really wanted to try this look out for myself and I am so glad I did. I've already got two hats similar to this! I can't get enough, I just love the boyish touch to my looks especially when I wear lipstick or a dress. I've really been enjoying winter break lately! Being able to relax and not think about school work has been very nice! Hope you guys are enjoying the winter months and holidays! you've got such a cute blog. great outfit! love your parka! I CAN'T WAIT TO SEE YOUR FACE MISSY. you're fabulous as per usual. 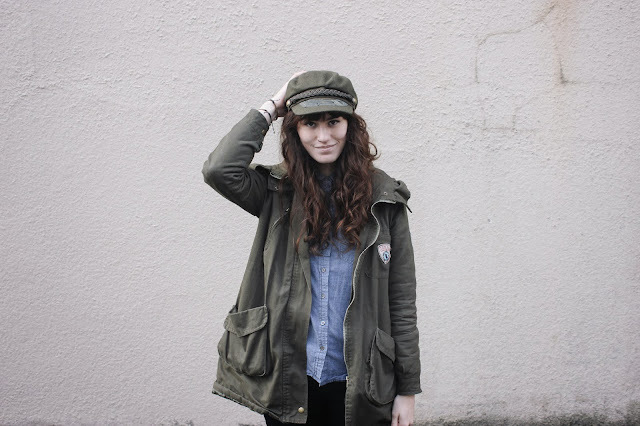 I know exactly which image you're referring to of Alexa Chung-- that hat was fabulous! I've definitely been loving neutrals lately, too.